This large hilltop property is in multiple parcels and can be purchased in part or in whole. Sellers are willing to reconfigure the property for optimal vineyard layout. 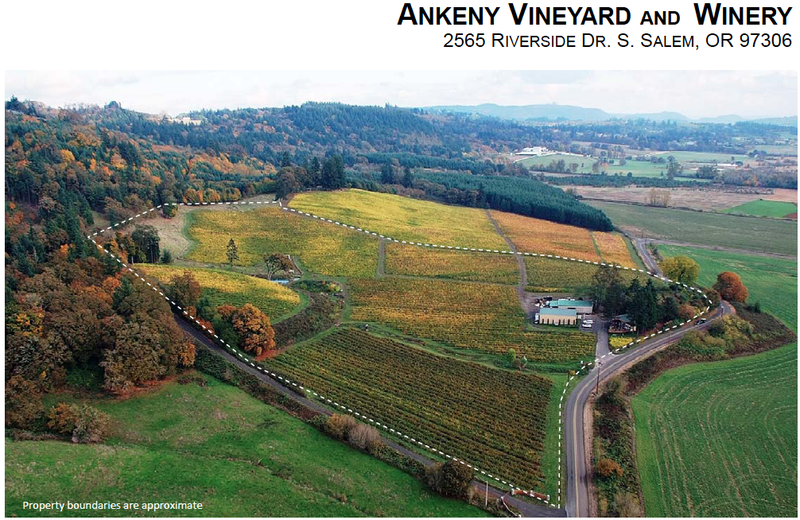 From as little as 80 acres to as much as 225 acres with most of the property featuring Prime soils, elevations, and aspect for premium vineyard development. Situated between the towns of Salem and Turner, and close to Willamette Valley Vineyards and Battle Creek vineyards. This property represents a rare opportunity to develop a spectacular Estate vineyard . winery and events facility. Perched in the Salem Hills with Cascade mountain views and Salem City lights at night. 150 acres (+/-) of vineyard suited area. Prime elevations, Nekia (volcanic) soils, with East – Southeast and Hilltop aspects. Three approved home sites may also be available to develop with the properties. Much of the property is cleared and cultivated. There are several areas conducive to pond construction including a year-round spring. The property is close to Willamette Valley Vineyards with great access to Salem and interstate 5 traffic counts. Would be high visibility location for on site tasting and direct sales. Please contact Matt or Peter for details regarding this sale.